Federal prisoner Steve Cheatham was diagnosed with advanced stage cancer late last year. He was given a few months to live. Prior to December 2018, that would mean that Cheatham could ask the Bureau of Prisons for a reduction in sentence–for compassionate release. The Bureau would then have slowly pushed paperwork around, and within a few months or a year, have denied Cheatham’s request. The First Step Act, signed into law on December 21, 2018, changed that. Prisoners still have to ask the BOP for compassionate release, but now when the Bureau says no (which it does in virtually every case), the prisoner can ask a federal court directly. So that’s what Cheatham did. The court said yes, and ordered the BOP to release him. The judge’s order came just days after the federal public defenders became involved. Cheatham’s wife immediately began finalizing her husband’s release arrangements. But when she called the prison chaplain to ask that he deliver the good news, she found that it was too late. Cheatham died before he could be told that he would be released. Cheatham’s sad story is not an anomaly. Data analyzed by the New York Times and the Marshall Project found that between 2013 and 2017, at least 266 federal prisoners died while waiting for approval of a compassionate release request, or after such a request had been denied. The Bureau approved a paltry six percent of all compassionate release requests in that same time frame. 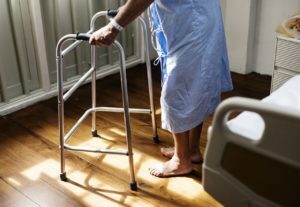 The changes to the compassionate release process wrought by the First Step Act are significant, however. Previously, the door to the courthouse was guarded by the Bureau of Prisons. Now, after waiting no more than 30 days beyond making a request to the BOP, a prisoner can go right to court. “There’s a road map now for this, and a way home for people that we’ve never seen before,” Mary Price of Families Against Mandatory Minimums told the Times. When it comes to federal compassionate release, time is of the essence. If you are a federal prisoner who may qualify for compassionate release, do not wait to begin the process. The Bureau is not going to suddenly start granting applications, so the faster you get to court, the better. The compassionate release application and motion must be thoroughly documented and properly drafted. If you are going to apply for compassionate release, dot your i’s and cross your t’s. And if you need professional assistance, consider hiring the Law Offices of Brandon Sample. Our attorneys have considerable experience in handling federal compassionate release issues. We can deal with the BOP and the court on your behalf. Contact us now to discuss your case. Brandon Sample is an attorney, author, and criminal justice reform activist. Brandon’s law practice is focused on federal criminal defense, federal appeals, federal post-conviction relief, federal civil rights litigation, federal administrative law, and the Freedom of Information Act (FOIA).